Chief was the last living cavalry horse still carried on government rolls. 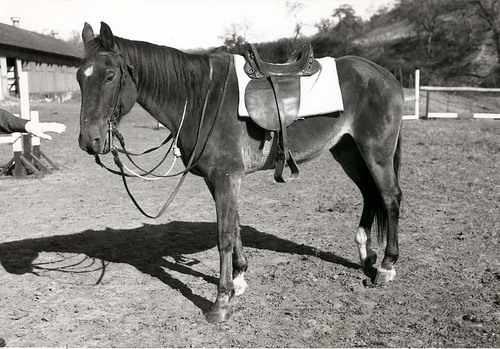 He was foaled in 1932 and purchased by the Army in 1940 at Ft.Robinson, Nebraska. In December of 1949 he was placed in semi-retirement and was fully retired at Ft. Riley, Kansas, in 1958. Chief died on May 26, 1968 and is buried at the foot of the statue "Old Trooper" at Fort Riley.